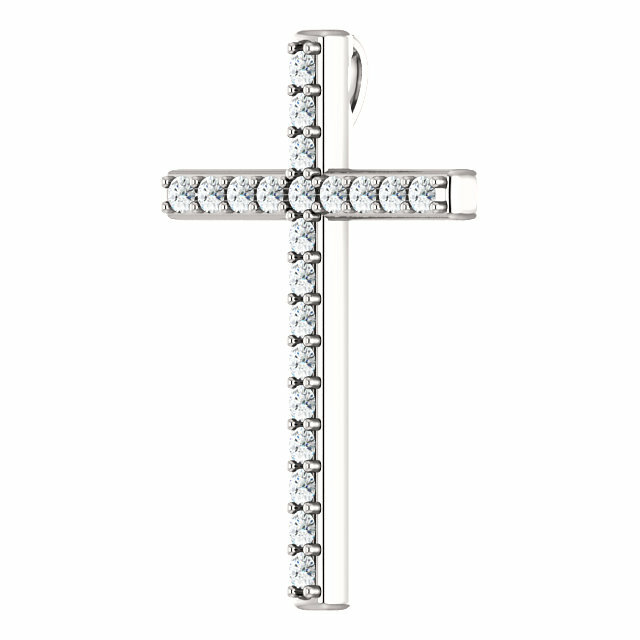 A stunningly high-end and beautiful platinum diamond cross pendant set with 0.63 carats of white diamonds with 21 total diamonds in all, each weighing 0.03 carats per stone. 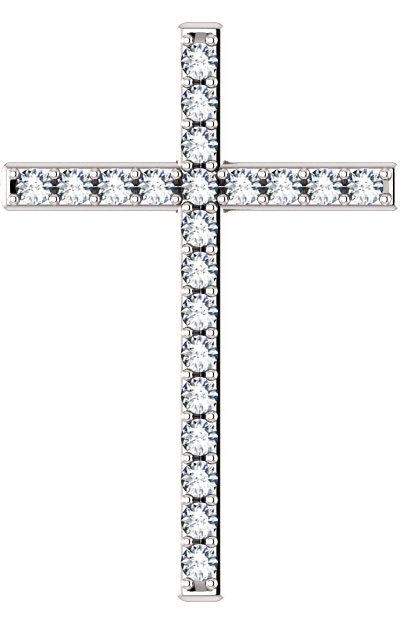 The diamond cross is crafted in 950 grade platinum and is set with your choice of high quality G-H Color, SI2-3 diamonds or G-H Color, SI1 clarity diamonds. Add a matching platinum cable chain necklace to make this a diamond cross necklace that will be treasured for generations or wear it with a necklace of your own choosing. Cross measures 1 1/4" tall x 0.85" across and includes a hidden hoop/bale which is concealed behind the pendant when worn, to allow the diamonds and platinum to shine brilliantly and without distraction. "For I am persuaded, that neither death, nor life, nor angels, nor principalities, nor powers, nor things present, nor things to come, Nor height, nor depth, nor any other creature, shall be able to separate us from the love of God, which is in Christ Jesus our Lord" (Romans 8:38-39). 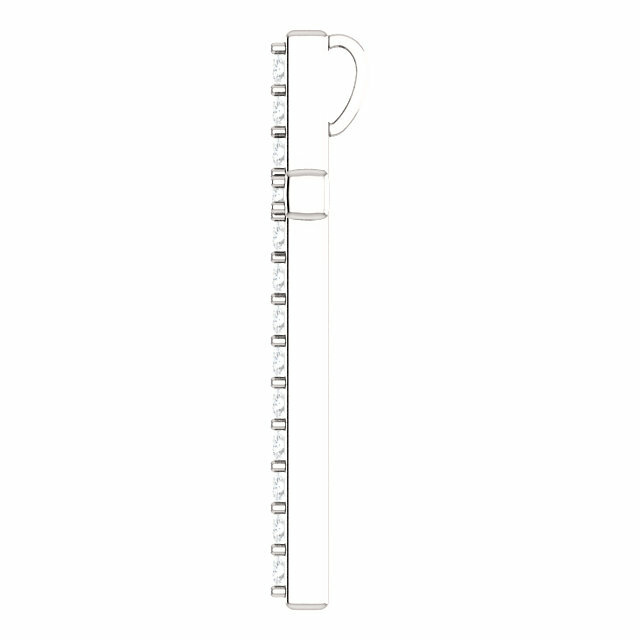 We guarantee our Diamond Platinum Cross Pendant to be high quality, authentic jewelry, as described above.